After 40 Years in the rail holiday business Ffestiniog Travel will promote its milestone by attempting to gain public recognition as the UK's longest running rail tour operator by entering the British Travel Awards for the very first time. Over the past four decades our niche travel company, based in North Wales, has built a loyal and supportive customer base, many travelling with us each year on our escorted rail tours in the UK, Europe and worldwide or as a tailor-made client. The annual British Travel Awards is the UK's largest and most influential travel awards programme and are recognised as the "Benchmark of Excellence" by the travel trade and consumers alike. So Ffestiniog Travel is offering customers the opportunity to share their experience of travelling with us and providing relevant and important opinion on the performance of leisure travel and tourism providers in the UK generally. BTA 2014 are predicting that over 150,000 UK residents will vote for their preferred companies and UK attractions, across a comprehensive range of categories and covering just about every aspect of the holiday buying process and experience. 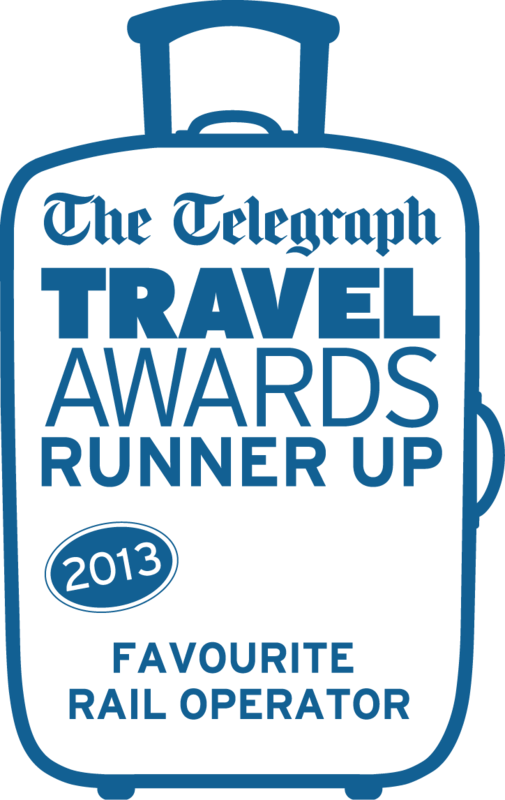 The Ffestiniog Travel brand will compete in the category for 'Best Rail Holidays Company' (A13) and those who vote will have the chance to win a cache of goodies in the BTA prize draw, click here to find out more https://britishtravelawards.com/vote_form.php and cast your vote. The voting process is completely transparent with the winners determined solely by the number of votes they receive from the UK public. Integrity of the voting system is assured with all procedures and results scrutinised and verified by leading global accountancy practitioners Deloitte. As part of the voting process voters will be asked to complete the BTA TravelVision Survey that provides important information on expected travel trends and spending for 2015. If you think your opinion as a holidaymaker and traveller matters and would like to influence the quality of travel companies' product offering and service delivery then cast your vote for Ffestiniog Travel and share your views. The "Voters' Prize Draw" with lots of great travel treats to win is another reason to vote, with sponsoring companies donating holidays, travel and leisure related products to the "Prize Chest". Distinctive and value for money holidays that are rich in content, providing culture, history, leisure and scenic destinations as well as unforgettable rail journeys. General Manager Maria Cook said: "We have survived as a small, specialist rail holiday company for 40 years because we know our product, we know what our customers want and we deliver. We are now offering our customers the chance to show their appreciation by voting for us in these prestigious awards." 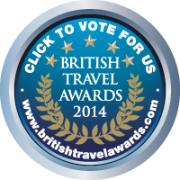 "Excellent, slick, personal, friendly, efficient and professional"
Voting opened for the BTA awards on 1st July and will close at the end of September 2014 so click here https://britishtravelawards.com/vote_form.php to find out more and give Ffestiniog Travel your vote.